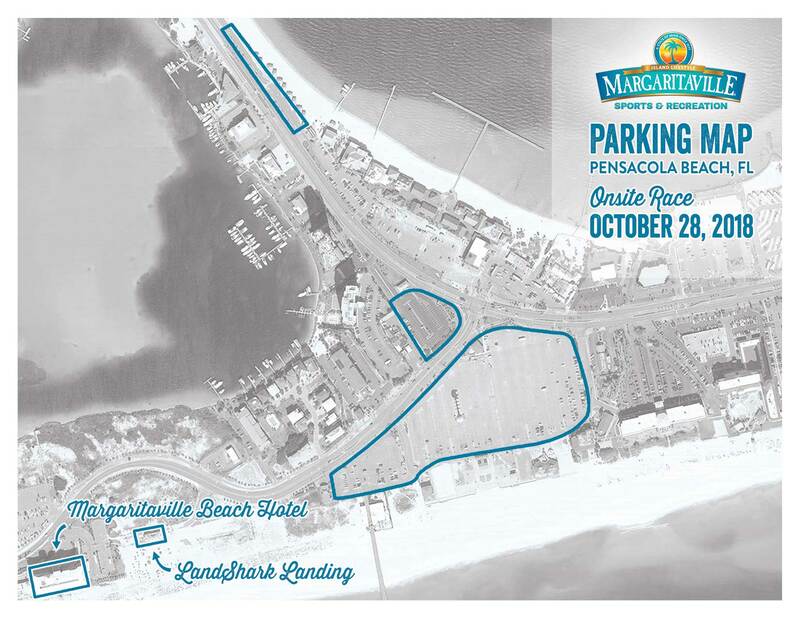 The Run to Margaritaville - Pensacola Race takes place on a scenic, out and back course with beautiful views of Pensacola Beach and its surrounding community. The 5K and half marathon courses both start and end with sweeping Gulf views at the Gulfside Pavilion. The course is flat and fast, so you can work towards a personal record or just enjoy the breathtaking scenery at your own pace before joining everyone at the post-race tailgate! The promise of free beer at the finish line should motivate you through the mileage! The course is professionally timed as well as USATF certified to make for an accurate and fun race! All participants in the onsite races will receive a custom Tervis OR an event t-shirt (if registering before 10/1 - swag availability not guaranteed after 10/1), finisher medal, and be able to enjoy the live music at the post-race party! Both the 5K and half marathon start and finish at the Gulfside Pavilion on Pensacola Beach. No part of the race course will be in the sand. 5K time cap is 1.5 hours. The half marathon will start at 6:30am and the 5K will start at 7am. Participants are encouraged to wear their best Halloween Margaritaville attire! Because this is a USATF sanctioned event, strollers or any kind and animals are not allowed on the race course. There is parking available at the Gulfside Pavilion but carpooling is encouraged! 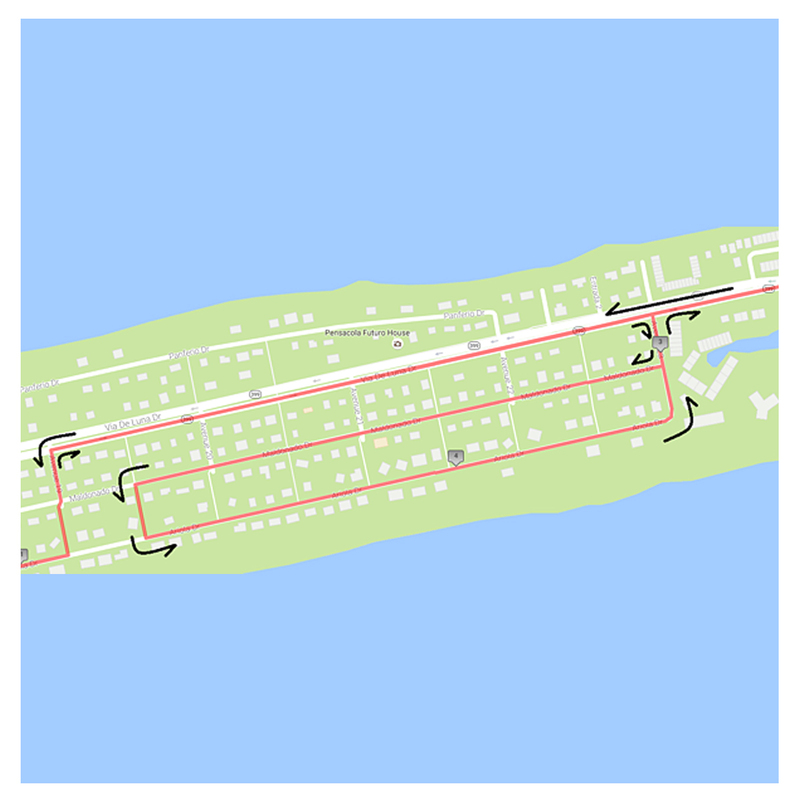 The Course is fast and flat, starting and ending near the Gulfside Pavilion. Participants can enjoy an out and back course on both the half marathon and 5K, with none of the course being directly on the beach. The race course is USATF certified. We are so excited for you to join us in Pensacola Beach! To prepare for your trip, please note the guidelines below. No masks of any kind can be worn. For the safety and enjoyment of all our participants, please refrain from bringing the items below. We are proud to have the beautiful Margaritaville Beach Hotel as our host hotel for the Run to Margaritaville – Pensacola Beach. Use Group ID 226937 to receive special pricing just for our racers. There are limited rooms at this price, so rooms may sell out. Located on over 800 feet of Pensacola Beach frontage, the Margaritaville Beach Hotel's entrance faces the bay and its fun side faces the gulf. The intriguing Pensacola area has been shaped by history and richly gifted by nature. Outdoor enthusiasts will enjoy diving, canoeing, and deep-water fishing in addition to the Gulf Islands national Seashore. Historical sites, museums, art galleries and boutique shopping, complete the multi-faceted destination. The hotel is only 13 miles from the airport. Dolphin Excursions, Snorkeling, Sunset Cruise and more!